Music’s most famous robotic duo teams up with toy specialists Medicom Toy as a part of the brand’s Real Action Heroes series. 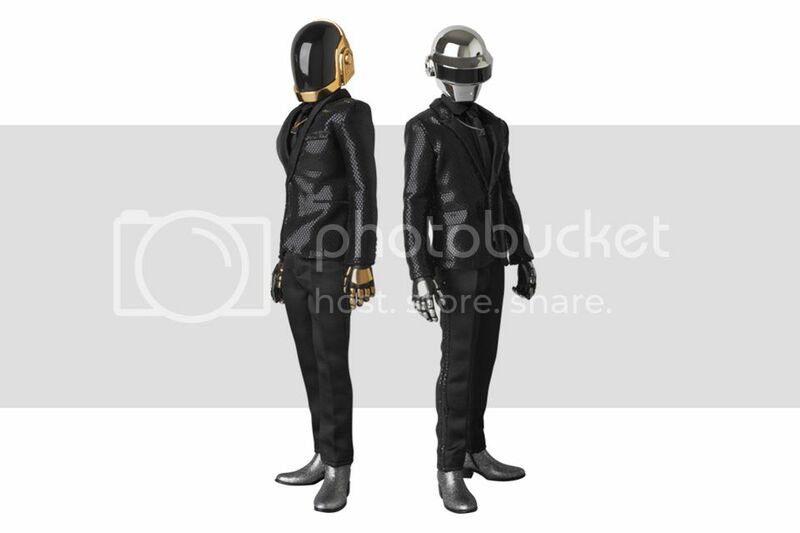 The 300mm “Random Access Memories” figures are done in the likenesses of Thomas Bangalter and Guy-Manuel de Homem-Christo in their chrome-laden best, just as they appeared through promotion of their Grammy-winning 2013 album. Hedi Slimane’s daring glitter costumes have been faithfully replicated here, while the plated helmets have been expertly sculpted by PERFECT-STUDIO. The Daft Punk x Medicom Real Action Heroes “Random Access Memories” collectible figures are available now on Medicom’s website.